If you own cats, you might have wondered whether bathing your friendly feline is absolutely necessary. In this article, we will be answering why you should bathe your cat and how to do it! 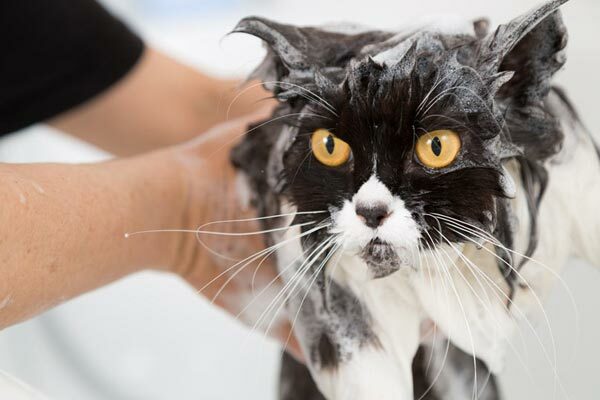 While it’s true that most felines aren’t a fan of water, most cats don’t react horribly when they are given a bath. There are several different factors that can play into whether a cat hates water or not. Have you had the cat since it was a tiny kitten? Have you worked to make sure that your pet isn’t afraid of water? If the cat is relatively new to your family or you just haven’t given your cat a bath, you might not know! A cat around the ages of 3 months should have its first bath with water. This will begin the process of acclimating the cat to being in or near water. Introducing an adult cat to water can be a bit trickier but it is possible! 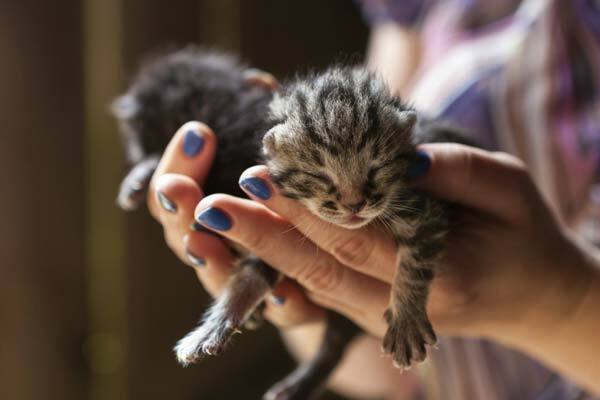 In any case, this article will give you several helpful tips on how to prepare for bath time for your cat and how to actually bathe the cat. Bathing your cat does not have to be a nightmare! Sometimes cats can be introduced to water and they learn to love it! Is giving your cat a bath necessary? It is not actually necessary to bathe your cat, most of the time. If the cat is healthy and looks clean, it probably doesn’t need a bath. According to AnimalWised, If a cat is bathed too often, they can lose important oils from their fur. Cats tend to be clean animals and they spend extra time to lick their fur when it needs to be cleaned. If the cat has short hair and tends to stay indoors, brushing the fur will probably be enough. When should you bathe a cat? However, there are certain times when a cat really does need some help getting clean. Is the cat a stray animal that you found? Or have you recently adopted a new cat into your family? You probably want to give a cat a thorough bath in those cases. There are many other cases where you would probably want to bathe your cat as well. If the weather is extremely hot and you believe the cat needs to be cooled off. If your cat has long hair and it can’t be untangled. If the cat has gotten into anything that is greasy or sticky. These are all special cases where you would need to step in for your cat and give it a bath. Otherwise, on a day to day basis, the cat can bathe itself without much of a problem. Can I teach my cat to learn to like having a bath? According to VetStreet, There are several little tricks that you can use to help a cat be more comfortable while getting a bath. Although the best way would be to start with a younger cat and slowly introduce the cat to water. Towel dry only. A hair dryer will more than likely scare the poor cat. These tips are small but they can be quite effective. If you are concerned because your cat really doesn’t enjoy bath time at all, look into some cat shampoo that doesn’t require water. Your vet may have some recommendations for you. Don’t just throw the cat in the sink and start the water. Have a plan! I recommend not using the sink or the bathtub as these aren’t spaces that can be controlled. Something else that might help you out is to have a friend or family member nearby in case you need an extra hand. Sometimes cats can jump or scratch if they really dislike a situation. According to Petfinder, While it’s quite simple to prep the bathing area ahead of time, it will save you a lot of frustration if you have everything laid out and ready to go. Have two plastic containers. Fill one with soapy water and fill the other one with clean water. Fill the containers with warm (not hot) water. Don’t fill the containers up all the way but fill it up a few inches. Remember to put the rubber mat on the bottom of the containers and check to see whether they slide at all. You don’t want a mat the slides. You can also use a towel for this. Make sure that you have the shampoo, towels, and brush nearby. You don’t want to have to walk away in the middle of bathing the cat because you can’t reach an item that you need. Lay one large towel down where you plan to dry the cat off. If you are worried about the cat jumping around or getting anything wet, remove anything in the area that the cat might knock over or mess up. Alright, now you are ready to bathe your feline! Remember to put on your gloves and sweatshirt before you grab the cat! Once the cat is in the room with you, shut the door. You don’t want it to escape! Grab the cat by the scruff of the neck and gently place it into the warm soapy water. Grip the cat firmly without pinching or squeezing. You don’t want any pain associated with bath time. 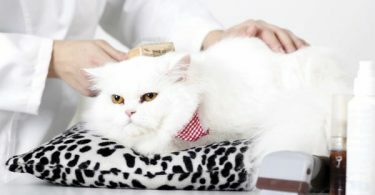 Keep a hold of the cat while you gently massage the fur and skin. Rub the soap into the cat’s fur to make sure that it gets clean. Gently wash the face, paws, and tail. Once you are done with the soapy water, move the cat over to the clean water. Move the cat as quickly as possible without dropping or hurting the cat. Begin to pour the warm water over the cat as you clean the soap off. Check to be sure that all of the soap is off of the cat’s fur. Dried soap can irritate a cat’s skin. If you are having a hard time pouring water over the cat, use a shower head that has a hose attached to it. Bring the shower head close to the cat (after checking water temperature) and gently rinse the cat off. Once the cat is clean, remove it from the water and place it immediately on the towel. Wrap the towel around the cat and pat dry. Make sure that most of the water is off of the cat. While I don’t recommend using a hair dryer on an animal, it is an idea to dry the animal off quickly. However, make sure that the cat is used to the loud noise and check the dryer to see whether it is blowing extremely hot air. You don’t want to burn the cat with the hairdryer. If you are at all skeptical, just towel dry the cat. 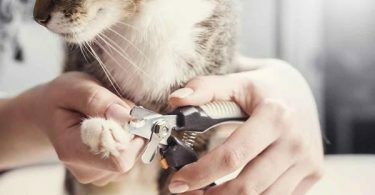 Once the cat has been dried off, grab the brush and quickly run the brush through the cat’s fur. If the cat has long hair, you probably want to spend more time on the brushing of the fur. Otherwise, a quick brush will work for a cat with short hair. It is important that the cat is dried off before going outdoors or anywhere that it can become cold. Infections and sickness can be prevented by drying your cat off thoroughly. Finally, let the cat wander off to a quiet location so that it can relax and lick itself dry. There you have it! You have successful bathed a cat! If these tips have left you wondering about any of these instructions or tips, take a look at this video! This YouTube video gives very simple instructions for how to bathe a cat that doesn’t like water or bath time. It is a quick video to watch and it is very instructive. Sometimes cats just can’t stand water and they put up such a fight when they see water that it becomes almost impossible to bathe the animal. In this case, I would say that you shouldn’t force it! Does the animal actually need the bath? Consider an animal groomer. Or take the cat to the vet. You don’t want to force the cat to go through an experience that it is afraid of without proper precautions. If you need professional help, don’t hesitate to make an appointment. 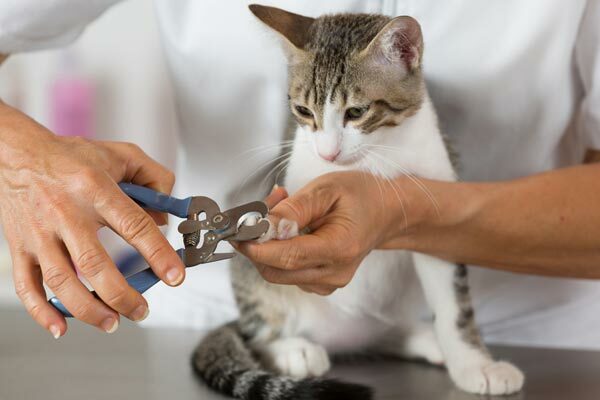 The vet and the pet groomer have had a lot of experience with animals that won’t cooperate, and they have the tools and meds necessary to make the bath process and quick and easy one. The main thing to remember when it comes to bathing a cat is to be patient. Neither one of you is probably looking forward to the event. Keep your actions and voice calm and low. Don’t lose your temper. Don’t rush through the bath. Sometimes cats can become scared of quick movement. In this regard, only bathe your cat when you have ample time to really sit down and wash the cat thoroughly and slowly. The earlier you can begin bathing your cat and the more often you do bath time, the more likely it is that your feline will become accustomed to water and getting scrubbed. While cats don’t need to be bathed frequently, sometimes some help from a human is necessary. Cats can’t always help it if they get into something that they can’t remove. Car grease and oil are common and can be a tricky substance to remove from animal fur. There are also instances of sticky food or tangled hair which a cat would need help removing as well. In conclusion, remember that planning ahead when bathing your cat is crucial to success!